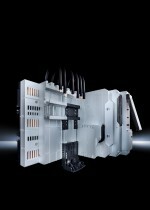 RITTAL, a leading global enclosure, climate control and power distribution specialist reports it is promoting the benefits of its top-selling, cost-effective wall boxes, details of which can be found in the company’s technical systems catalogue. 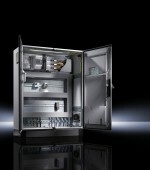 Rittal says to call it a wall box however is something of a misnomer and far from being simply a container for equipment, Compact Enclosures AE provide highly technical solutions to protect the valuable systems within. Their attributes and many benefits include corrosion resistance and a range of accessories for easy assembly as well as security and enviromentals.